Stay educated about fitness and staying healthy, and search for local events and stories of interest. Visit their website to find information on local races, team sports and recreational activities and camps for kids. A soccer camp for youth ages 3 to 15 years old. The program offers opportunities year-round for children to join a soccer club, get private lessons and one-on-one training, as well as opportunities to participate in group sessions. Children learn the game of soccer, establish passion for the game and improve their technical ability. There is a minimal cost. Visit the website for contact information. The Columbus Public Health Healthy Places Program has provided walking maps for neighborhoods throughout the city to add more physical activity to everyday life. Columbus has parks and recreation centers throughout the city and surrounding areas. They provide a variety of programs, camps and classes for children, teens and adults. Click below to find local programs in your neighborhood. The website provides free and low cost opportunities for families to live an active lifestyle. A ten-week program for girls in 3rd through 8th grade in which they develop a life-long appreciation for health and fitness. Trained coaches lead small teams through activities, running games and lessons that inspire girls to become independent thinkers, enhance their problem solving skills and make healthy decisions. The program ends with the girls doing a community service project and completing a 5K event. Offers dance and creative movement classes for youth ages 3 and up and adults. Visit the website to find descriptions and locations of classes. A medically-supervised, wellness program that teaches children who have health problems ways to practice healthy habits at home by using play and fitness plans designed just for them. 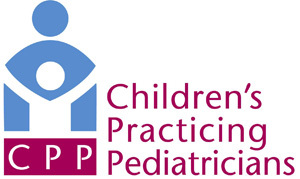 Children are referred to this program by their healthcare provider and the cost is billed to their medical insurance. Explore events happening around you on the trails of Ohio. This website was created by the Ohio Department of Natural Resources (ODNR) and the Ohio Trails Partnership. With more than 5,000 of miles of trails (biking, hiking, running, walking, water trails, and equestrian), Ohio has a lot of opportunities to get out and explore. This free program is offered at several locations throughout Columbus to encourage healthy physical activity in people of all ages. Families and children can join a doctor and other people looking to improve their health at these free Walk With a Doc events each week.